The Audio Suite is a highly-regarded UK digital audio company based in Birmingham, serving a global client base, and is renown for its friendly, personal approach and its impressive yet intimate studio environment. We provide bespoke, high value-added post-production, ADR and Voice Over sound services from two compact and exceptionally appointed mixing rooms and adjoining voice studio, as well as high-end location sound recording and premier level Outside Broadcast sound engineering. Whilst the two mixing rooms and voice booth are primarily the personal workspace of film Sound Designer and Supervising Sound Editor Neil Hillman MPSE, these facilities are also made commercially available to external clients. We welcome visiting clients and artists, especially if they’re fun to be around, so please feel free to call us for studio availability. We understand and can usually accommodate short-notice or out-of-hours bookings and we are as happy and committed to applying our extensive audio post-production skills and experience to a one-hour VO, ADR or TV commentary recording session as we are to fully supervising a theatrical-release feature film. The Audio Suite has easy accessibility as well as the convenience of remote access to impressive in-house facilities, combined with an extensive track-record in audio post-production that includes many hundreds of hours of prime-time television programmes, TV and cinema commercials, feature films, internal, external and business-to-business communications, podcasts and best-selling talking books. All of our television mixes meet the stringent EBU-R128 standard; and audio assets are delivered securely via our encrypted Cloud Audio Post server. We’re also experienced in creating Cinema commercials. We arrange Dolby certification through our long-standing associations with partner studios. For ‘remote’ VO and ADR sessions, our Pronto 2 ISDN codec is simple to connect with. 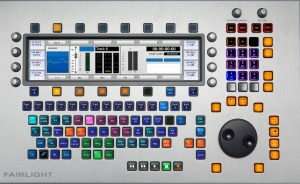 It is compatible with almost all other studio ISDN codecs offering G711, G722 and MPEG encoding modes, which means that we can easily connect to other studios and work together with timecode locked pictures; or clients may prefer the convenience of listening and Directing their voice artist by calling in on any standard telephone. A free, pre-booking line check further guarantees a smooth session. Please note that all clients are asked to settle our studio fees before a VO or ADR session commences. We are experts in using sound to give any kind of moving pictures meaning and impact, making them more memorable for your audience. Dialogue and sound effects editing are an essential part of the feature film and TV drama post-production process. Use us for all, or some, of your needs. We have extensive experience in helping fellow dialogue editors to get the cleanest possible re-recordings, when things have gone wrong on location. It’s essential to make a crystal-clear recording, with effortless intelligibility for the viewer. You can trust us with this. 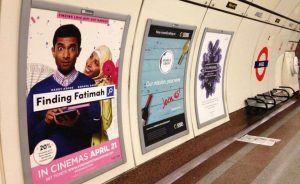 We often can’t publicise details, but our work is used by some of the biggest agencies and best-known brands. It’s our little secret; we’re happy with that. From interviews to full-blown feature film recording, we’re equipped and ready to get the best possible clarity on location too, not just in the studio. No production should overlook this great opportunity to build an audience. We’re experienced and happy to help in all aspects of the process. With our easy access and fast delivery, anyone with a phone and broadband is able to benefit from using our expert, timely and affordable services. The Audio Suite is a very different kind of sound studio. We are a unique, award-winning Sound Design consultancy lead by Neil Hillman MPSE. 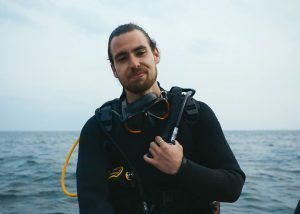 We provide bespoke, high value-added audio post-production services for feature film clients that includes sound design, sound supervising, dialogue and sound effects recording and editing; as well as offering an ISDN-linked ADR and voice recording service that has been used on feature film productions such as ‘Lincoln’, ‘Pirates of the Caribbean’ and ‘Kingsman: The Golden Circle’ and notable television drama series such as ‘Ackley Bridge’, ‘Ibiza Weekender’ and ‘Dr. Who’. Mark Graziano, Vice President of Post-Production for DreamWorks. The Audio Suite is a leading UK digital audio company, serving a global client base, yet retaining in-house convenience. We are a long-established supplier to major advertising agencies, Indies, Super Indies and creative corporate clients; as well as the major broadcast channels. Our high-quality audio solutions are designed for features, broadcast and corporate film makers, whilst our Consultancy service provides support for projects with complex workflow and exacting delivery requirements. We create and craft soundtracks for the world that your ideas inhabit… Giving them impact and meaning… Making the message memorable for your audience. Neil Hillman MPSE leads The Audio Suite’s sound design practice, and he has a reassuringly extensive and impressive track-record in location sound recording, audio production and audio post-production: including credits for mixing many hundreds of hours of prime-time television programmes; feature films; TV and cinema commercials; as well as internal, external and business-to-business communications, podcasts and Audible ‘Best Seller’ Talking Books. He is also regularly engaged for Outside Broadcasts as a CCR and IBC Engineer at major sporting events such as the London 2012 and Rio 2016 Olympic Games, the UEFA Champions League Final and the Glasgow 2014 and Gold Coast 2018 Commonwealth Games. See a list of Neil’s IMDb credits HERE. 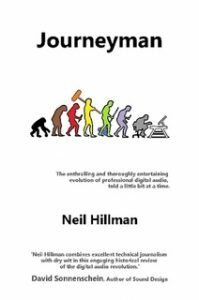 Neil Hillman’s latest book, detailing a decade of digital development in the professional audio-for-picture sector; written with humour and passion from first-hand, operational experience.